I did not say I quit. Rather, I explained about the outdoor toilet pit under my condo and how it cost me over $10,000 to have it excavated and the condo made safe. Mr. Sharpe failed to address the problem of the outdoor toilet pit under my condo that had not been disclosed when I bought the condo from the very man who developed it and had it built. 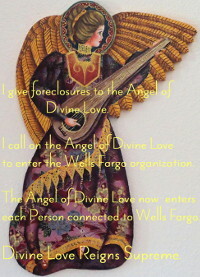 The New Mexican article is a perfect example of a foreclosure being blamed on the homeowner when, in fact, the lender, real estate broker and seller, Wally Sargent, was not held to account, at all. But then, Wally Sargent’s Santa Fe Properties advertised heavily in the New Mexican. Above: Photo by Jane Phillips/The New Mexican. Kline, center, speaks in state district court to Judge Vigil about her condo. Realtor, buyer at auction, Rick Green, left, & Sandra McKenzie, Kline’s friend on right in background. 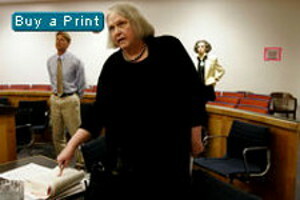 In the photo I am pointing to the New Mexico Rules of Civil Procedure, which I had trusted. “What a mockery this makes of my life,” I told the court. “I feel like such a fool.” A fool for believing in justice and the New Mexico Rules of Civil Procedure. When my friend read me the whole of Tom Sharp’s account it sounded exactly factual. 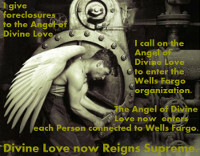 I was glad there was a story about how it is impossible to redeem ones property after it’s been foreclosed. But this evening, after a fifth reading, I see that the piece doesn’t deal with that and I’m ill at ease that it says I “quit” paying my mortgage. The truth is that I paid my mortgage when I was sick, I put it before everything else because I didn’t want to lose the property, but in the end I just didn’t have enough money because of the privy pit. The developer who had my condo built over part of the old privy pit is a huge advertiser with The New Mexican. I expect that’s why the pit isn’t mentioned. It wasn’t that I was “fixing my home,” it’s that the developer, Wally Sargent, a well know broker in Santa Fe, with one of the biggest real estate agencies, Santa Fe Properties, had my condo built over part of an old privy pit (untreated excrement). I know that the men who dug the footings saw the pit because it was completely different material than real earth. The footing ran right through it. I know men who do work like that and I know they told the people they work for. The builder was John DeVito. The whole point of a Chapter 11 is to give the person an opportunity to reorganize so as to have the money to save their property and pay all of their bona fide creditors. 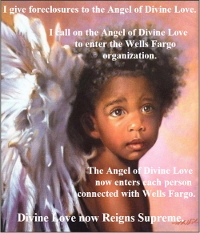 Yesterday, May 12, 2006, I became depressed when after two hours I still couldn’t find the case I used to use in bankruptcy court when I did my 1997 Chapter 11 after IRS put me out of business. The case talks about how the automatic stay gives the person breathing room. So, for sure, bankruptcy is meant to provide time. Also, I filed on May 9, 2006, a brief in which I cited the United States Supreme Court case which “sets forth” the requirements of due process. Those requirements were not met for me, indicating that I was denied due process. But when I was reading what I wanted to be heard in court, the judge would not let me read this part of my brief. He knew what was coming, because I had given him a copy. When I was a Realtor, we all worked as agents for the seller, so I thought Rick Green was in an agency relationship to me. In fact, his broker sent me a letter talking how about all the agents would be working for me. My point was that Rick Green had a fiduciary duty to me which included telling me about the auction, before he went and bought my condo, not after. It’s a little more complicated than that: the canale for my unit, the New Mexico equivalent of a rain gutter from the roof, was located right above the privy area, so even in this dry climate the excrement in the privy pit stayed wet a lot of the time and continued to decompose. As decomposition happened, the material subsided. There were holes in my garden, but I didn’t know what was causing them. I didn’t know that there was a hole under my sewer pipe because of the outdoor toilet pit in the common area, nor did whoever stepped on the pipe when it broke (at least that’s how I imagine it broke). It no longer had anything under it to support it, and it broke. But, being under ground, no one saw that, they just saw the holes continue to form. The last time I filled one of the holes I took 14 double plastic grocery bags full of red rocks that I no longer wanted at my little single family rental. And after all those bags there was still a couple of feet left at the top of the hole and I filled that in with top soil from Home Depot. The upshot of the sewer pipe breaking was that fresh excrement filled the cavity where the pipe no longer connected to the common sewer pipe. And, according to the man who tested for hydrogen sulfide inside my condo, every time I took a shower or bath, or cleaned using water that eventually went down the drain, I increased the amount of hydrogen sulfide being released because of the chemical relationship between H2O and HS. I think it broke in 2000, shortly before I moved in. After I moved in and cleaned and was so happy, I fell and hit my head on the brick floor. At the time it was early Spring and I kept the windows closed at night… so unbeknownst to me the hydrogen sulfide built up. I fell in the morning. When I was interviewed on Channel 4 at one point, I mentioned how after I was living there I didn’t “feel well” anymore. I was so depressed when I saw myself on the news saying that, because it sounded as if I felt generally sick. What I meant was that I no longer felt things. For example, I had a lot of trouble with not feeling the ground beneath my feet; that would make me feel as if I was falling, even though there was ground beneath my feet. Basically hydrogen sulfide deadens nerves. The first nerve it deadens is the olafactory nerve, causing a reduced sense of smell… after that you can’t smell the telltale sign of the hydrogen sulfide, which is a rotten eggs smell. This was false. I had an offer that I was accepting when Julianne Hope, my listing agent, told me that Rick Green had told her he’d bought my condo at a foreclosure sale. Julianne Hope lent me part of $128,250 to redeem. The court clerks refused to allow me to deposit my Cashier’s Check, however. Had I been allowed to redeem, rather than my condo being given to Rick Green for $85,000, I would have had a sales agreement. I was not holding out. I clearly said I had a sales agreement if I was allowed to redeem. 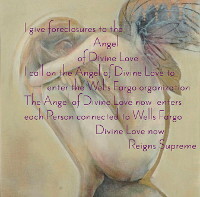 Today was the June hearing, and I knew going into it that the judge was determined not to allow me my condo back. I had cited a U.S. Supreme Court case at an earlier hearing and he ignored it even though it was precisely on point. So, I was inclined to believe it was true that he had told Darcy Burson, Rick Green’s broker, that there was “no way” I would get my condo back. I am pretty sure he was not impartial because I filed a case against the Chief Judge, Michael Hall, some years ago under the ADA, Title II. I think that major pissed off (to use the vernacular) all the judges because of how they think they can do anything they want. They do have pretty sweeping “absolute immunity” – except that the ADA, Title II provides that a private person can sue for money damages. That’s why I think the judge was so keen to punish me. If you want to read how I addressed his lack of impartiality in court, here’s what I read. Except that I got confused and also Judge Vigil wouldn’t let me read all of it, so I missed some of the most important parts, and I had to file it in order to have it all in the record. Sometime Later ~ Now that I know Leverick lied on March 8, 2006, I’m not so sure the court case used by Hayes for his client Green is actually correct. I foolishly believed there was some integrity in play. I now know better. I have finally had an opportunity to listen to the court hearing transcript.